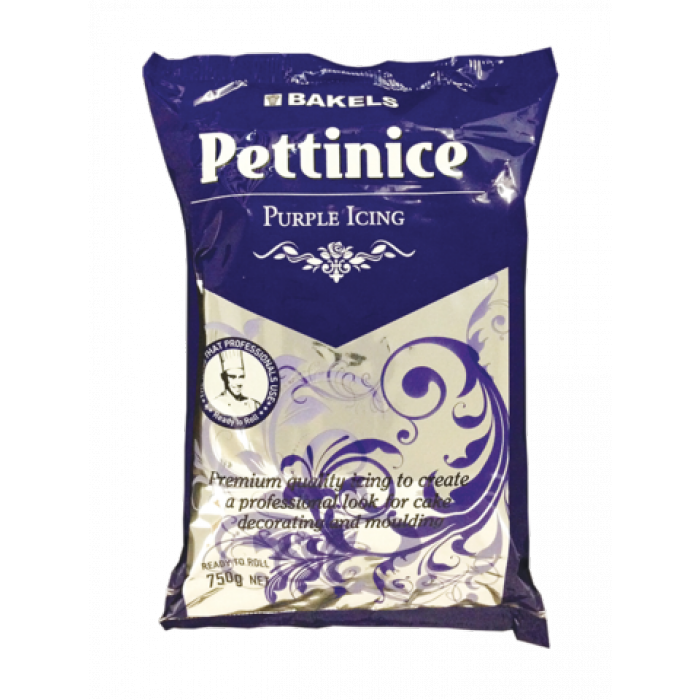 The very popular Bakels PURPLE PETTINICE ready to roll fondant icing in a convenient 750g sachet. Keep airtight when working with fondant. Zap in the microwave for a couple of seconds to make more pliable. Smooth with a fondant smoother for a super professional finish. WE NO LONGER SEND FONDANT OVER 5KG TO TAS AND SA COUNTRY DUE TO AUSTRALIA POSTS EXTORTIONATE RATES! We are sorry for the inconvenience.